FacebookA rendering from Facebook showing how one of the ads will look. Facebook is launching one of its biggest-ever advertising campaigns in the wake of the Cambridge Analytica scandal. The social network is promising to crack down on fake news, clickbait, and other issues that have plagued its platform recently. It remains to be seen if this PR offensive, along with the changes it is making, is enough to win back user trust. Facebook is embarking on a major PR offensive, launching one of its largest-ever advertising campaign as it promises users it is trying to “get back to what made Facebook good in the first place” – friends. The social network has had a bruising year. First came revelations that its platform was used to spread Russian propaganda and fake news in the 2016 presidential election. Then, there was the revelation that political research firm Cambridge Analytica misappropriated as many as 87 million users’ data – a scandal that sparked broader criticism of the company’s privacy practices and has led to intense regulatory scrutiny. Facebook has since announced a number of changes, and blog posts by CEO Mark Zuckerberg apologising and outlining next steps are now a regular occurrence. The company is now trying to take its message to the people. It is running a major TV advertising campaign, “Here Together,” bemoaning the rise of fake news and data privacy scandals and promising to make amends, starting on April 25 and ongoing throughout the summer. Ads will also run in cinemas, and on Facebook itself (of course). 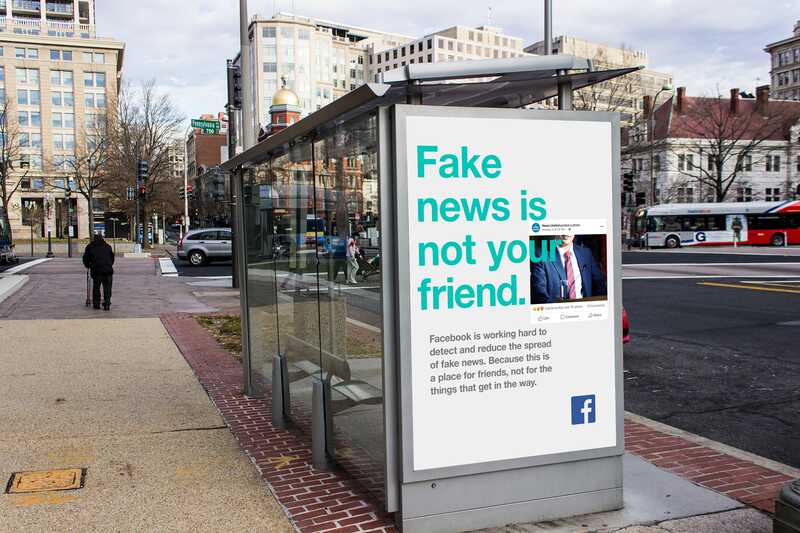 Meanwhile, the tech company is also going analogue with adverts in billboards across the US that promise to crack down on some of the ills currently plaguing Facebook: Spam, fake news, fake accounts, data misuse, and clickbait. Zuckerberg has testified to Congress that Facebook hasn’t seen a meaningful number of users delete their accounts in the wake of the Cambridge Analytica scandal – but what’s less clear is how it has affected people’s sentiments towards the company. It remains to be seen whether this advertising blitz, along with the changes the company is making, is enough to win back user trust.